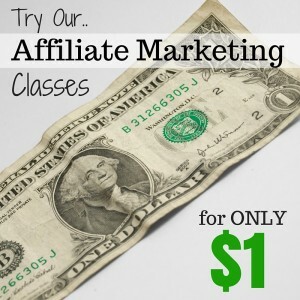 So you’ve got your Amazon Review Affiliate niche. Either way you are wondering how you learn about it fast. You’ll make sure it’s a good one. There’s interest in it. The competition isn’t too over powering. It helps if you know about it or are interested in it. But if you are like many people. You don’t know as much about the niche as you’d like. People who are authorities are trusted. But You don’t have to be an expert to start. But you do need to build up product knowledge initially but some general knowledge of the niche as well quickly. As you build up that knowledge you get to know what people what in the niche and you can engage and connect with them. Along with connecting with them you don’t want to turning them off by saying something wrong. Fortunately you only have to a little more than the people coming to your site but the more you know the better your reviews and information posts will be. How do you connect with them? Here are 7 ways to build up your knowledge quickly. This is a logical place to start. There’s plenty of information on these pages on what people want to know about products. Not all of it is correct so some discernment is required. You need to read it critically. If you go through the 5 – 10 products reading a 20 or more questions and reviews per product -you’ll build your knowledge up quickly. It does take a little time but it does give you an idea of what is important to people looking to buy products in the niche. Take notes and summarize what you find to help you with your reviews and to get your thoughts clear. You can find other information and more details by going to other shopping sites and suppliers. They can often include things not found on Amazon. As well as the product listings being different often the customers have different concerns to the ones expressed on Amazon too. Start writing reviews based on your research. This really helps you to get to know your niche and what is missing in your knowledge. It’s a bit like the advice you see sometimes that if you want to really learn and remember something teach it soon after you’ve been taught it. This is always a great way to educate yourself. It will help you find what other people saying about the products but also how they are being used. The searches don’t need to be just the product name but also about questions that you came across or questions you came up with yourself as you researched products. By typing in your niche into the search you can find a good source of questions people ask about your niche. Not all will be relevant to a review site but it does build up your knowledge of what is important. Look for common questions people have, how they are being answered and what ones are going unanswered. You do want to focus on ones that might have a product related answer or maybe able to weaved into a review. Finding these starts with a search in Google looking for your niche or relate niche as keyword followed by forum. This can be a bit hit and miss as it might give you a lot of information topics that don’t have much to do with people being interested in buying a product. They can help. Also looking for the most active threads can help to find what is most important to people in the niche which can often be related to the products you’re writing about. You can see what problems they’ve had and how they were solved which can be a great way to identify information posts you can write. You can find these through Google searches forums and questions. They might not talk about products specifically but you’ll find out more about what people look at when buying. A search for best “niche” blogs can often give you a starter list to get you going too. You can also try Alltop.com for a list of popular recent blog posts on your topic. Often blogs have a blog roll that can give you more blogs to get on with. You’ll see the concerns and find out what they use the products for other than the obvious ones which can help when reviewing products or compiling best of lists. Before moving on to forums, questions and blogs I’d make sure you’ve used the other techniques first. These will get you up and running on with your review site. The others can build up on that information. 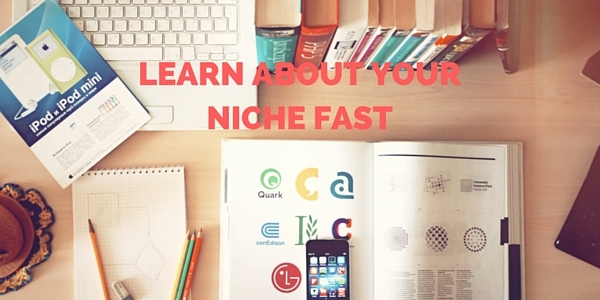 These techniques will help you get a deeper understanding of your niche quickly. You’ll know what is important to people and what concerns they have. You’ll now the terms that are used. And you’ll know how the product features can help people get what they want. It all helps in connecting and engaging with your visitors which should also help with converting them to click your links and buy over at Amazon. I find this post very useful but I would like to know how does the process of contacting the product manufacturer go? Where do you find the mail (on Amazon for example), how long does it take to respond, how do you find questions to ask? Will you consider describing the process? In terms of finding questions to ask it is a matter of researching and coming up with a list. It can be what others have asked about the product you’re researching or about other products. As you research more products you work out what you and others want to know.